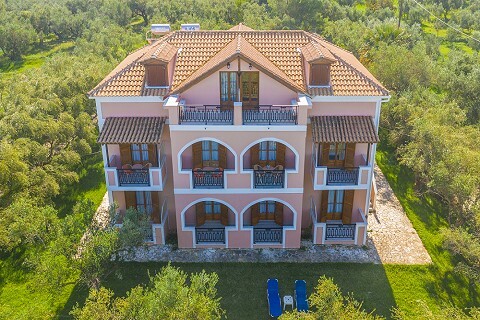 Kavos Psarou features 4 studios on the ground floor and 4 on the 1st floor. 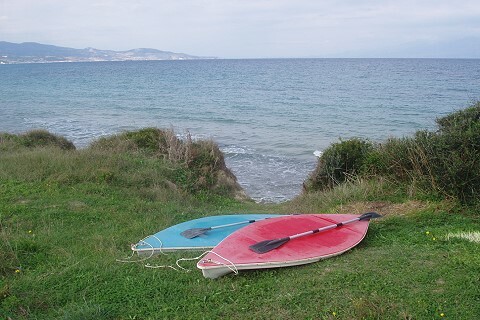 They are suitable for 3 adults or 2 adults and 2 children. 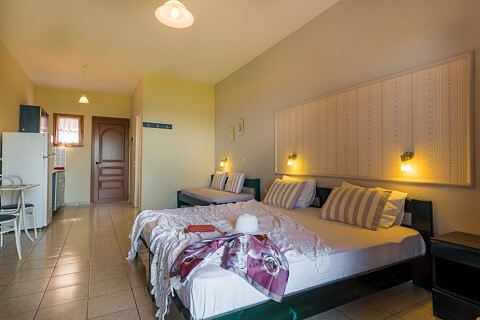 Each has 2 twin beds plus a sofa bed or double beds and a sofa bed, offering high quality mattresses for extra comfort. 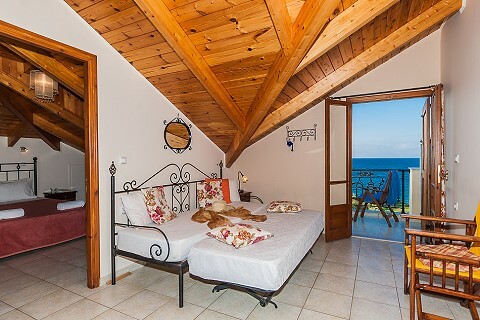 A folding bed can be added on request. 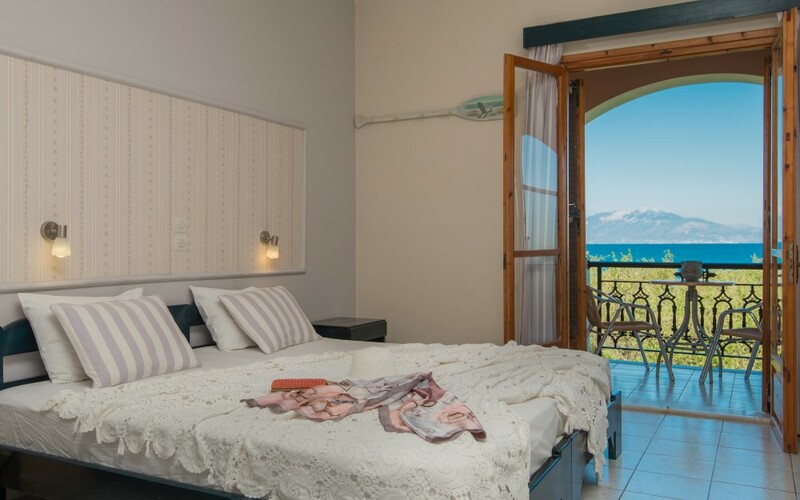 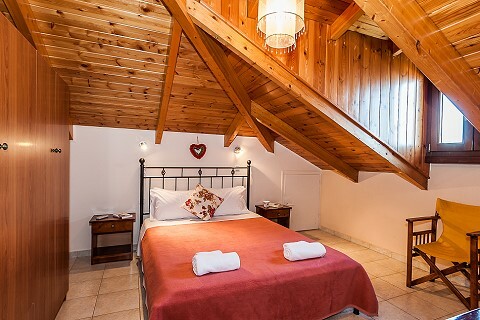 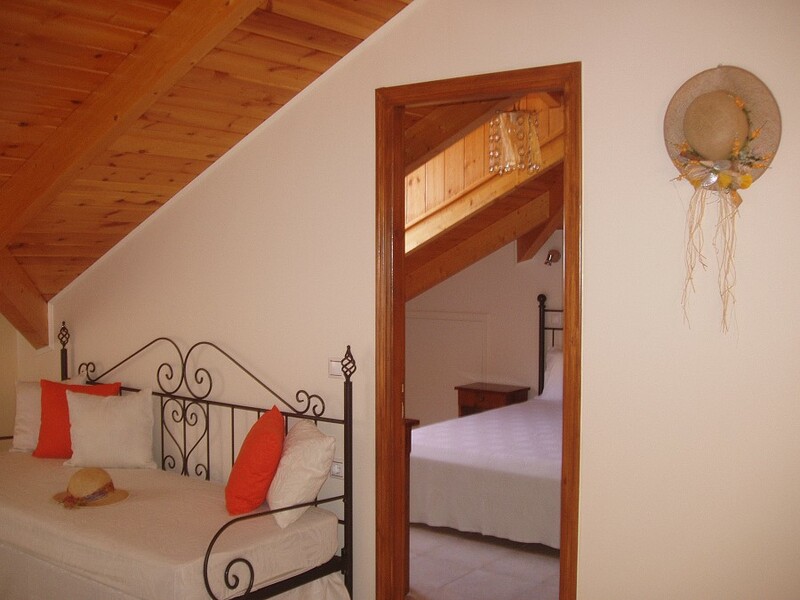 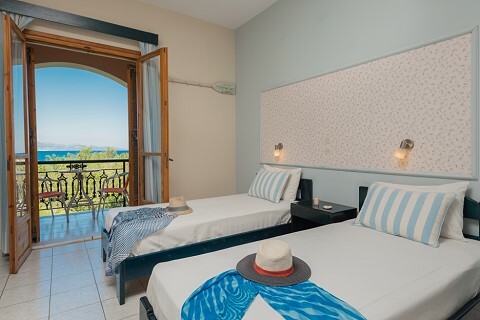 The rooms are spacious (32 square meters) with a large furnished balcony offering nice garden and sea views. 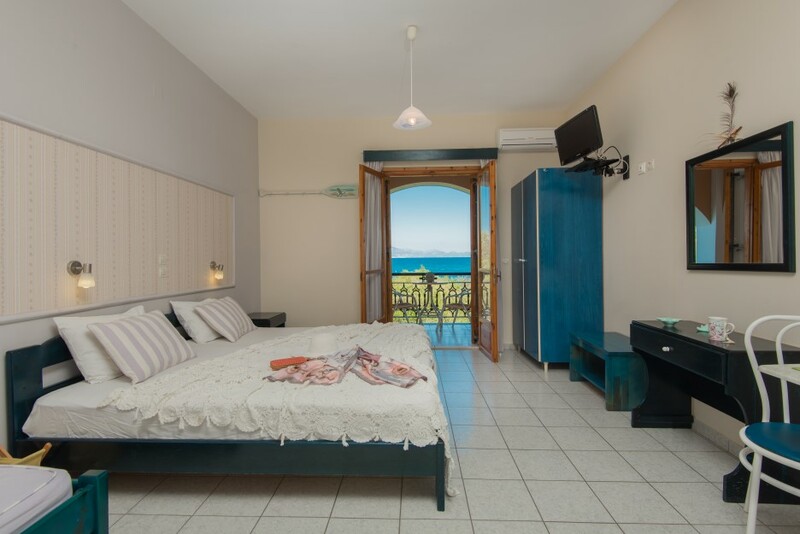 All rooms include a fully equipped kitchenette (oven, toaster, coffee machine, kitchenware, cutlery, small fridge), bathroom with shower, air conditioning and satellite T.V. 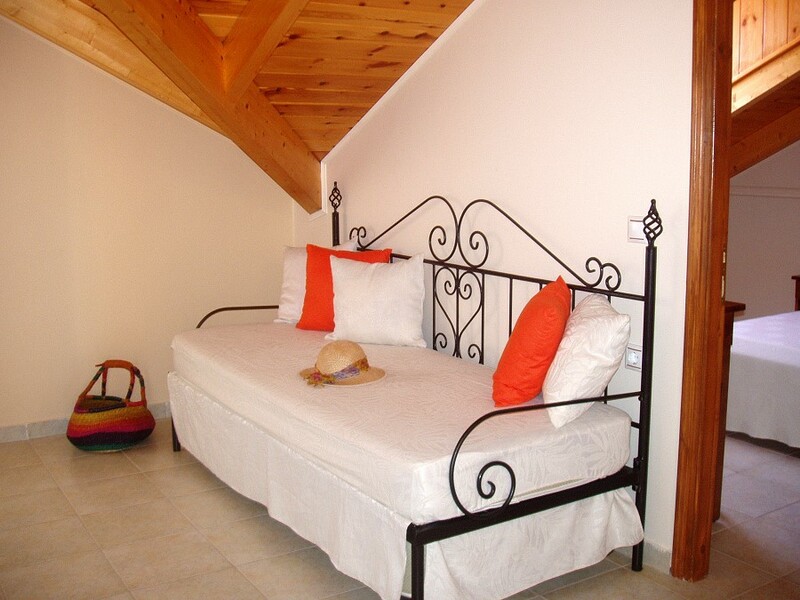 They are simply but comfortably furnished and offer everything for your everyday needs. 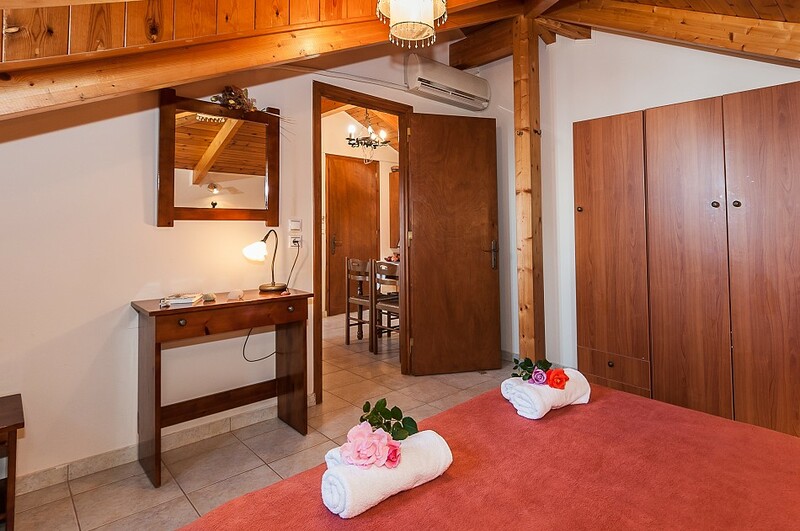 Linens and towels are changed every 4 days. 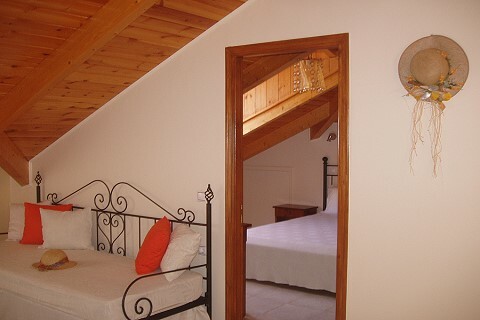 Studio prices range from 26 to 65 euro per night. 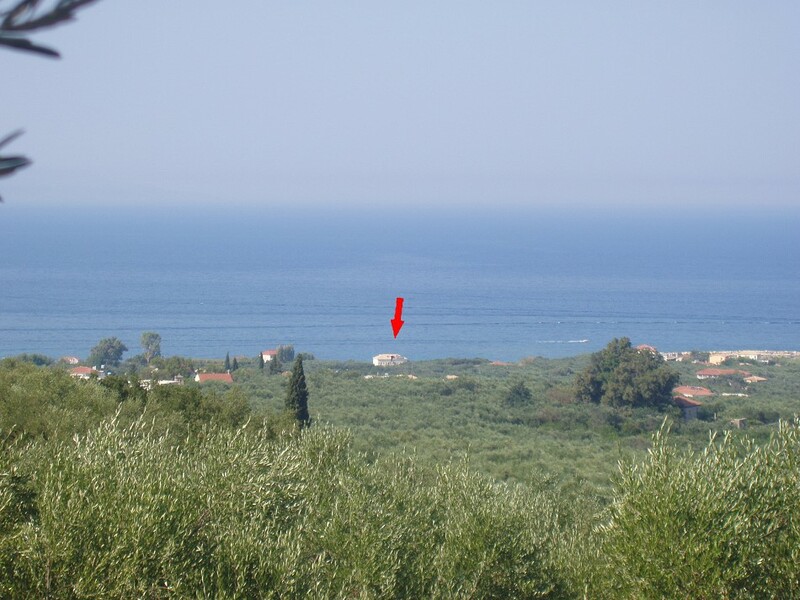 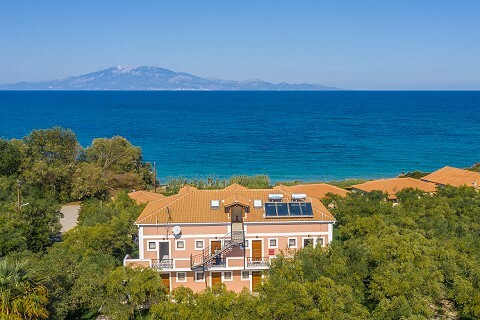 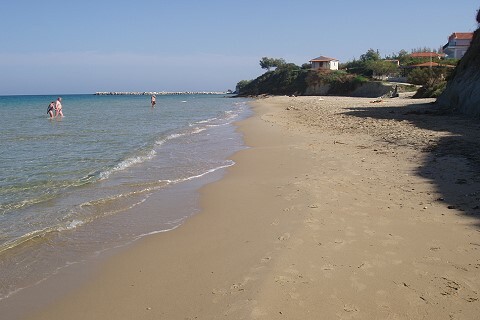 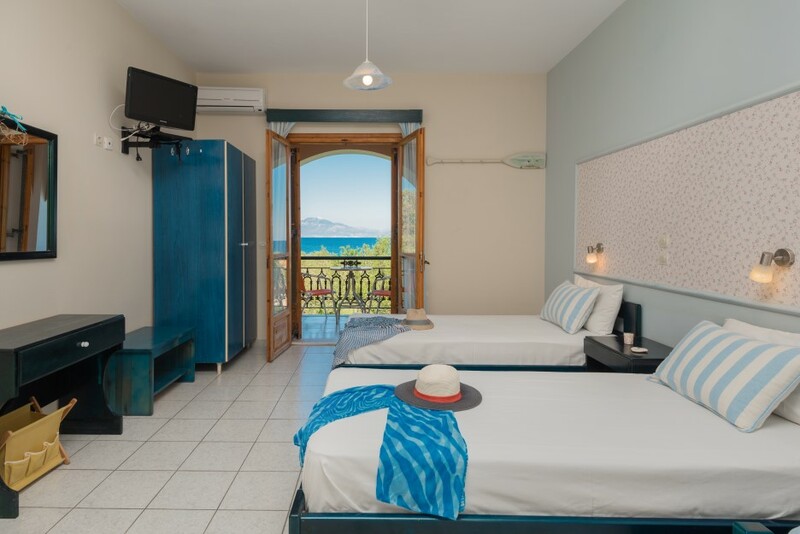 Kavos Psarou features 2 apartments with splendid sea views located on the upper floor, attic (Aeolus and Poseidon). They are very spacious (45 square meters) and can accommodate up to 4 adults. 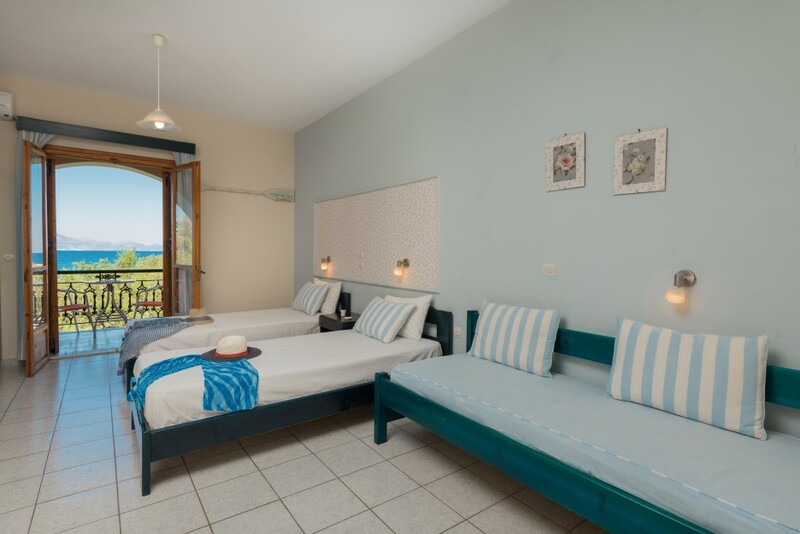 An extra folding bed can be added on request. 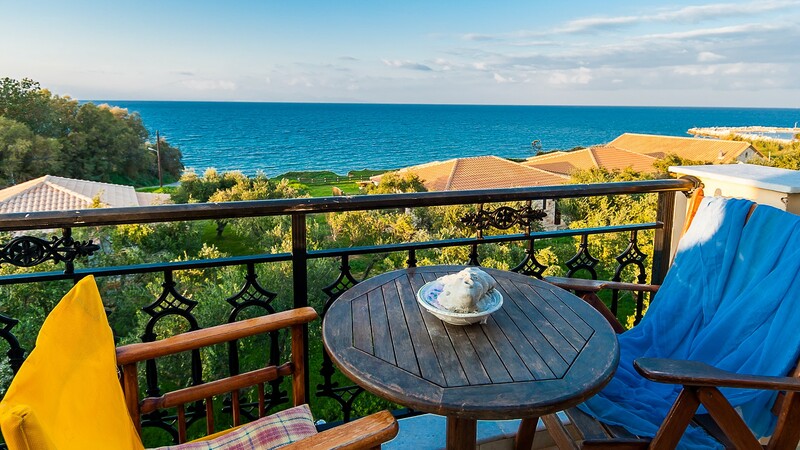 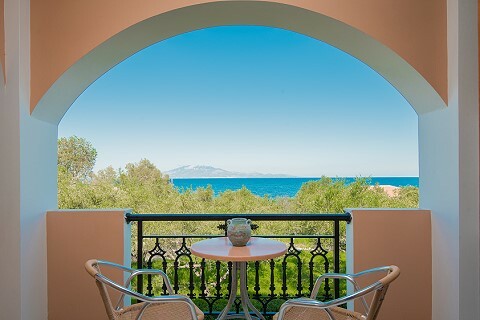 In the front part of the attics there are large balconies with superb sea views. Decoration and furniture are made with special care. The kitchen is fully equipped with a big fridge, electric stove with air extractor and all commodities for your everyday needs (oven, toaster, coffee machine, kitchenware, cutlery etc.). 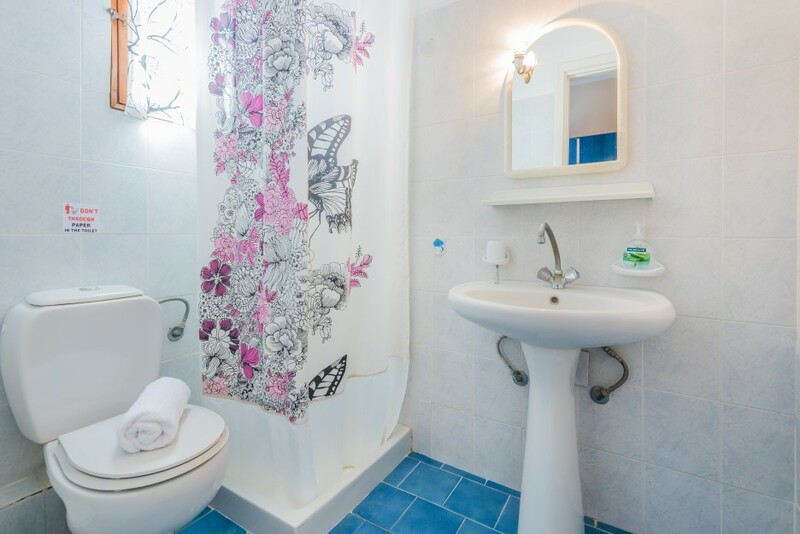 The bathroom is large and features a bathtub. 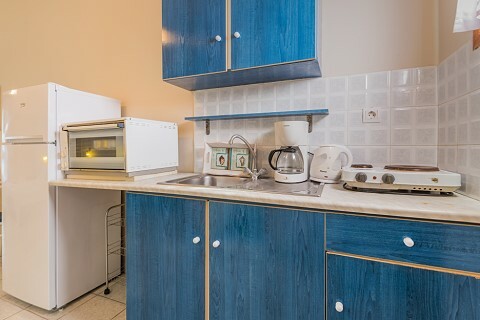 Apartments are air-conditioned with individually operated units. 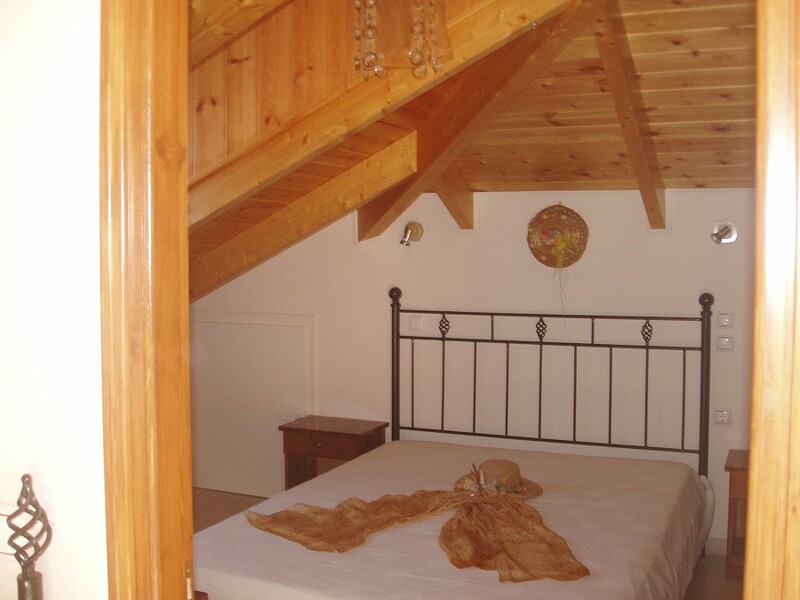 The sitting room is equipped with wooden furniture and 21 inch satellite T.V. Apartments also include a safe-box free of charge. Linens and towels are changed every 4 days. 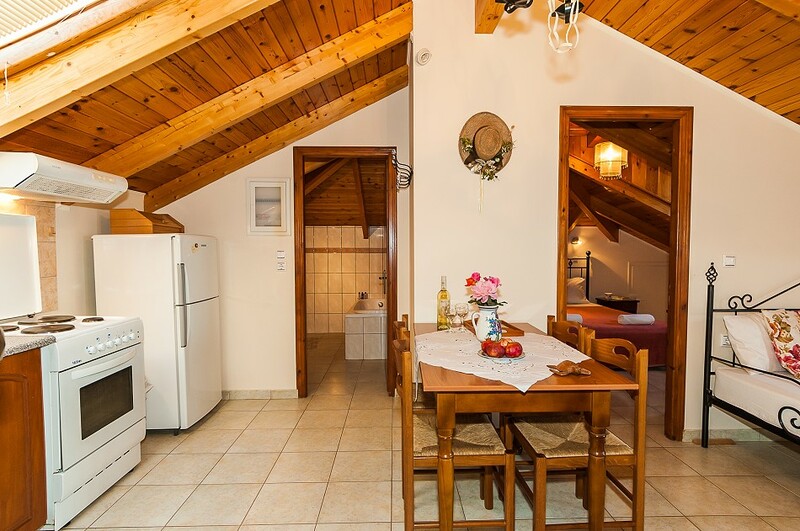 Apartment prices range from 42 to 95 euro per night. 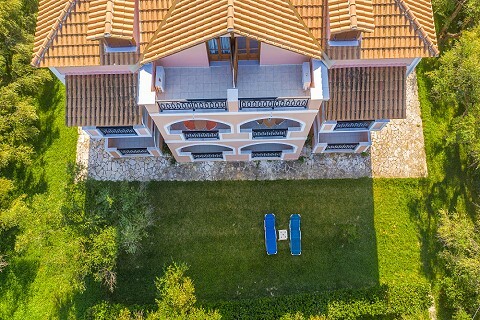 Kavos Psarou is a delightful structure with traditional architecture in Meso Gerakari village, at Psarou resort. 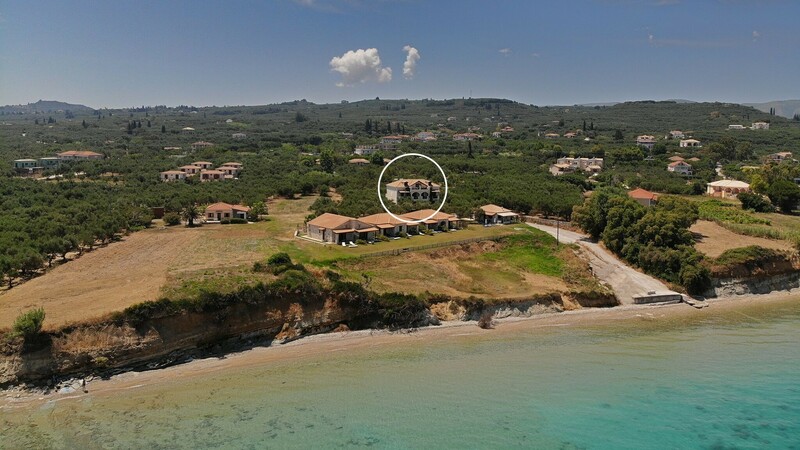 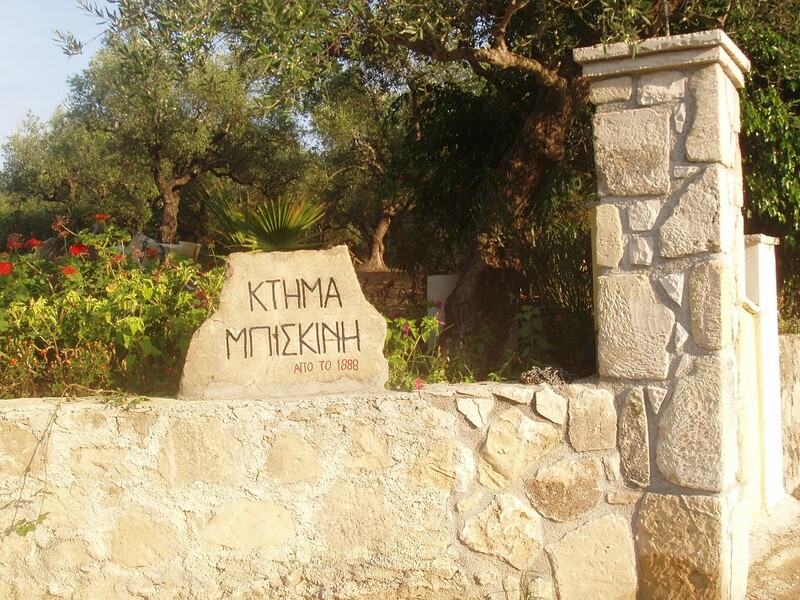 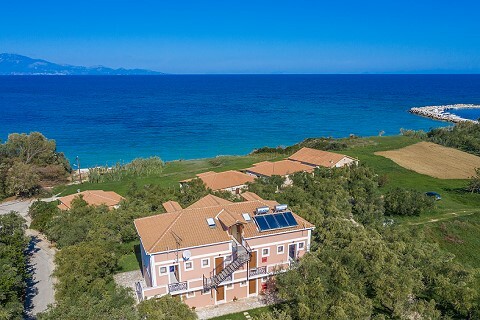 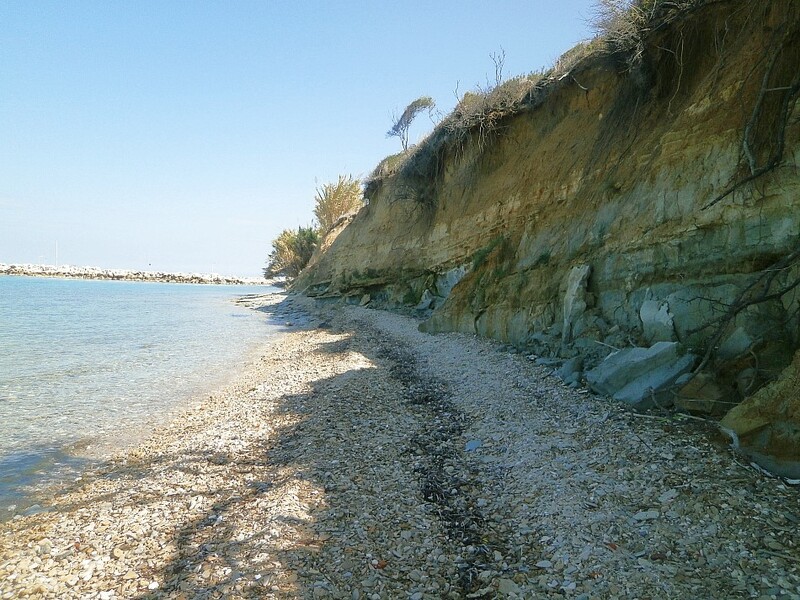 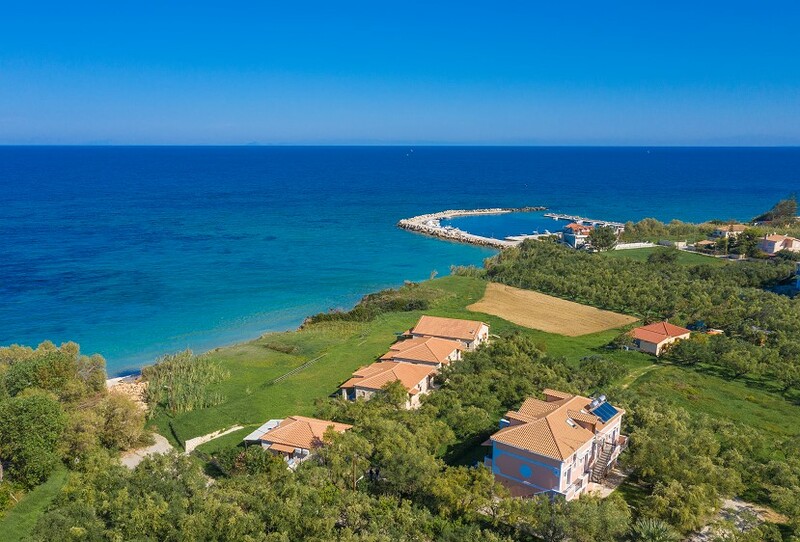 It is located in the center of Zakynthos East coast, with a superb view of the Ionian Sea and Cephalonia Island. 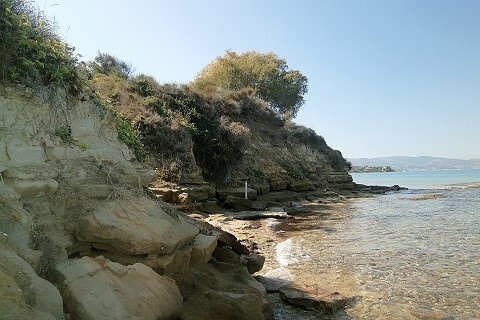 Due to its central position, distances from every part of the island are short making it suitable for day trips. 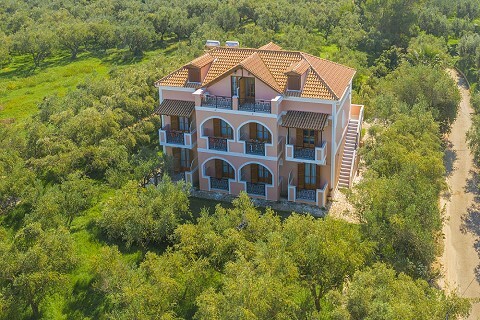 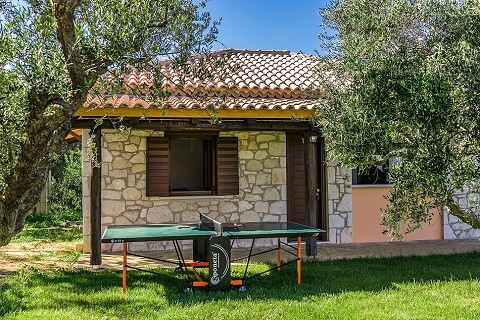 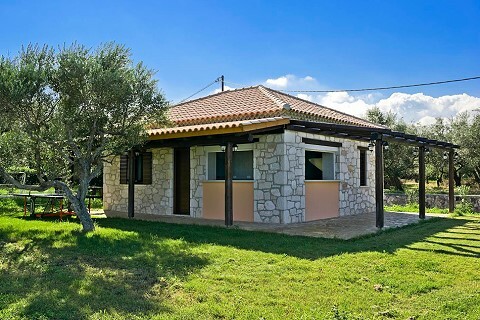 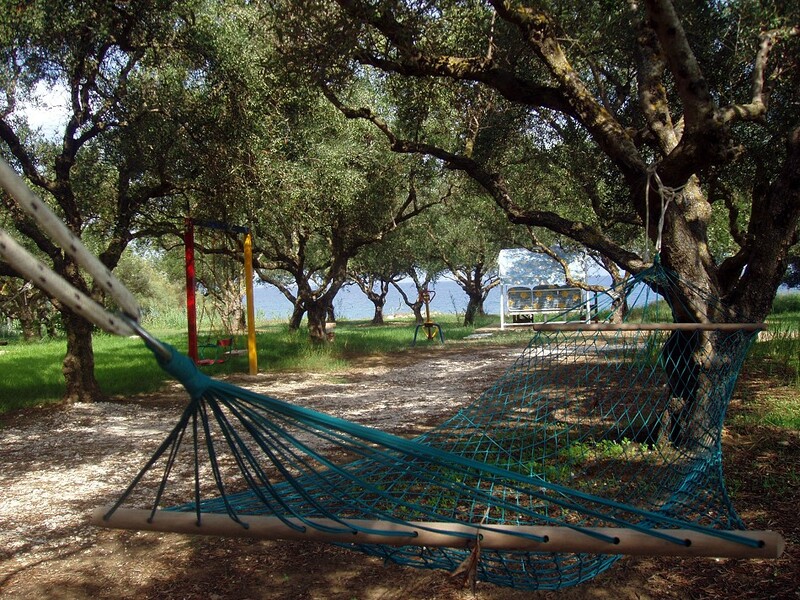 The accommodation is built in an estate with typical Mediterranean vegetation surrounded by grass, flowers and olive trees. The building is situated just above a lovely pebbly beach and in only 50 meters there is a totally sandy beach with shallow, crystal clear, turquoise waters. In close proximity you will find a fishermen's port where it is possible to anchor your boat for a small charge. 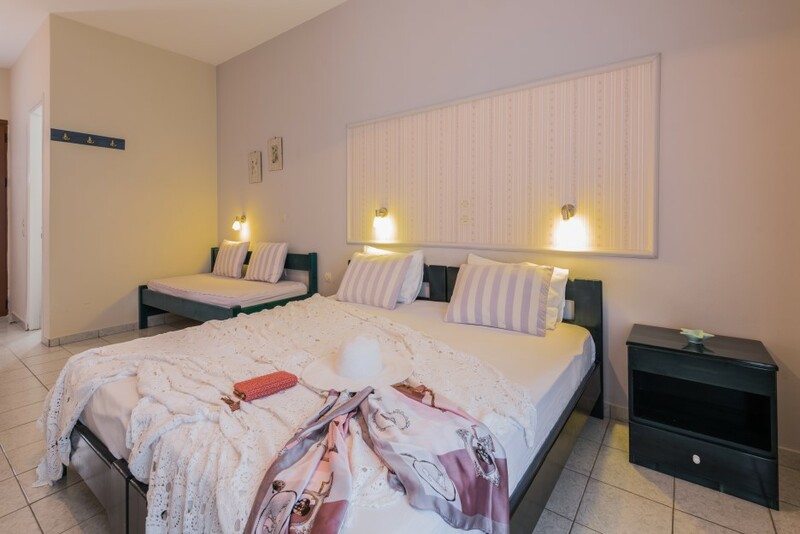 Kavos Psarou is the ideal place for those who seek tranquil accommodation where they can relax in privacy and have easy access to a beach. The surrounding, typical Mediterranean countryside is a perfect setting for pleasant, peaceful walks. 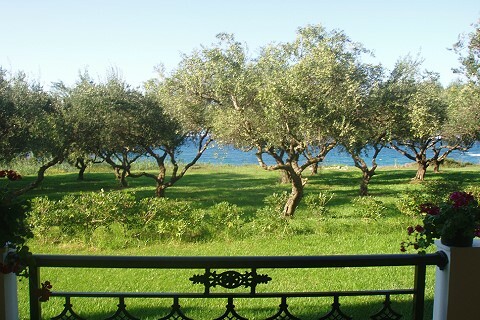 The resort is not very touristically developed so it has kept a natural unspoilt beauty. 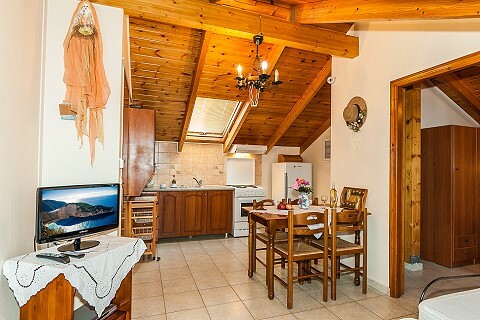 Within walking distance you can find taverns, mini markets, a bakery and a butcher shop. The resort of Tsilivi is 6 kilometers away and Alikanas just 4 kilometers away for those who prefer a more vivid nightlife and other facilities. 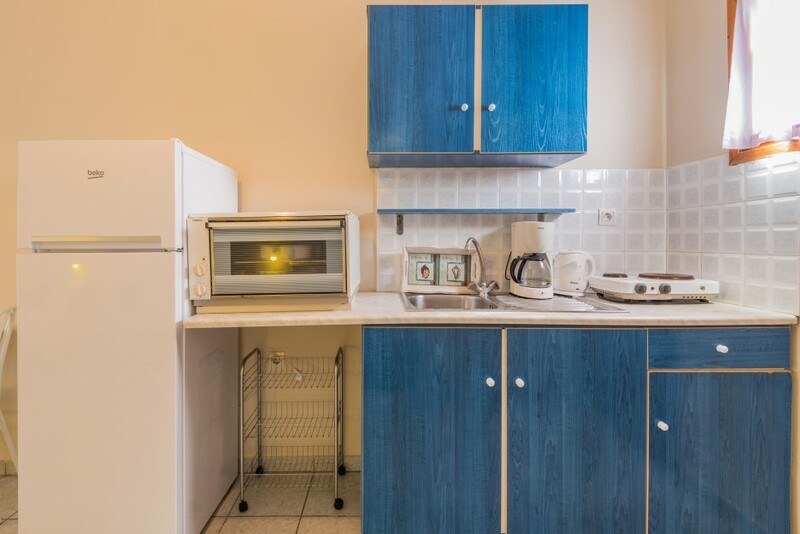 Biskini family which owns the apartments lives just 25m away and are willing to give you any kind of help and information. 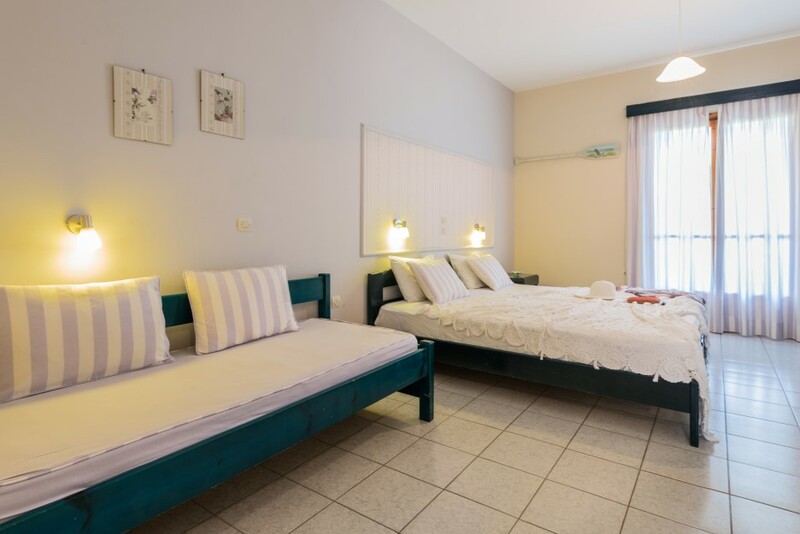 There are many ways to contact Kavos Psarou Studios & Apartments to make an inquiry or a reservation. 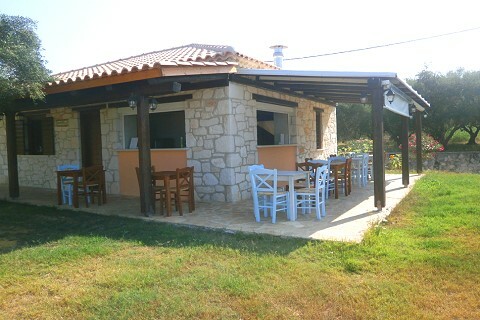 Feel free to call us anytime to ask any information that you would like to know about Kavos Psarou Studios & Apartments.